My research interests include Data Mining, Social Computing, and Computational Advertising. I am now the Chief Data Scientist at Clari, a startup focusing on predictive analytics for enterprise sales. Before that, I was a principal data scientist @WalmartLabs, and a scientist in Yahoo! Labs. I received my Ph.D. from Arizona State University in 2010 and B.S. from Fudan University, China in 2004. 2013/07: Present @UAI workshop on New Challenges in e-Commerce Product Recommendation. 2013/07: Present Adaptive User Segmentation for Recommendation @GraphLab Workshop on large scale machine learning. 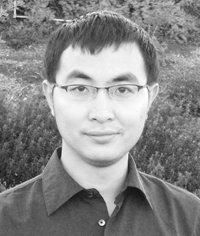 2013/03: Poster paper Scaling Matrix Factorization for Recommendation with Randomness is accepted @WWW, 2013. 2012/11: paper Exploiting Social Relations for Sentiment Analysis in Microblogging is accpeted @WSDM, 2013. 2012/08: paper A Convex Formulation for Learning a Shared Predictive Structure from Multiple Tasks is accepted @TPAMI. 2011/09: Lecture on "Community Detection for Social Computing" for the Social Computing Class @UCBekeley. Huan Liu, Lei Tang and Nitin Agarwal. 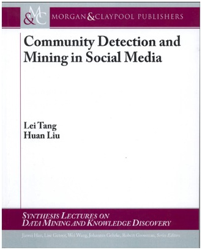 Tutorial on Community Detection and Behavior Study for Social Computing. Presented in The 1st IEEE International Conference on Social Computing (SocialCom'09), 2009. Lei Tang and Patrick Harrington. Scaling Matrix Factorization for Recommendation with Randomness, WWW, 2013. Jianhui Chen, Lei Tang, Jun Liu and Jieping Ye. A Convex Formulation for Learning a Shared Predictive Structure from Multiple Tasks, Transactions on Pattern Analysis and Machine Intelligence (TPAMI), vol. 35, no. 5, pp. 1025-1038, May 2013. Lei Tang, and Huan Liu. Leveraging Social Media Networks for Classification. Journal of Data Mining and Knowledge Discovery (DMKD), 23:447-478, 2011.